I’m happy with my products but I’m sure that will all change when I visit Follain’s new Nantucket shop in July! 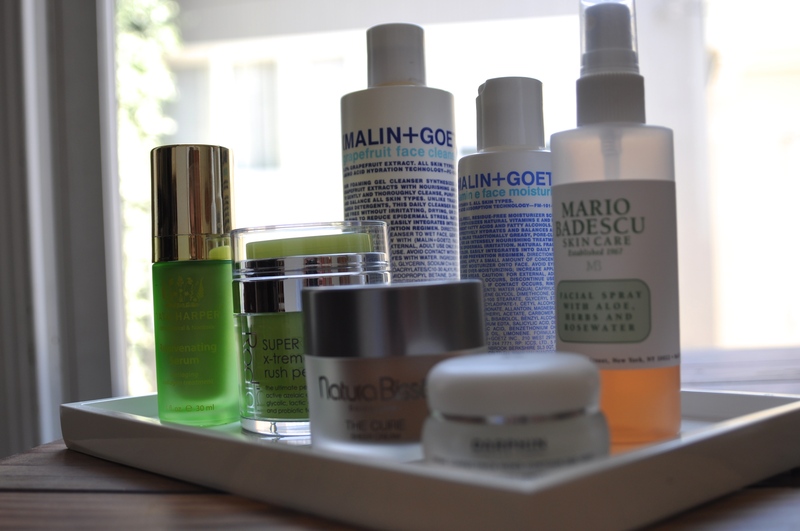 Cleanser: Malin + Goetz Grapefruit Cleanser. I use a dime size amount of this cleanser 2x/day with my Clarisonic brush 1x/day. Toner: Mario Badescu Facial Spray with Aloe, Herbs and Rosewater. I’ve been using this facial spray for a decade now and it will always remain a staple in my medicine cabinet. Serum: Tata Harper Rejuvenating Serum for the anti-aging qualities. 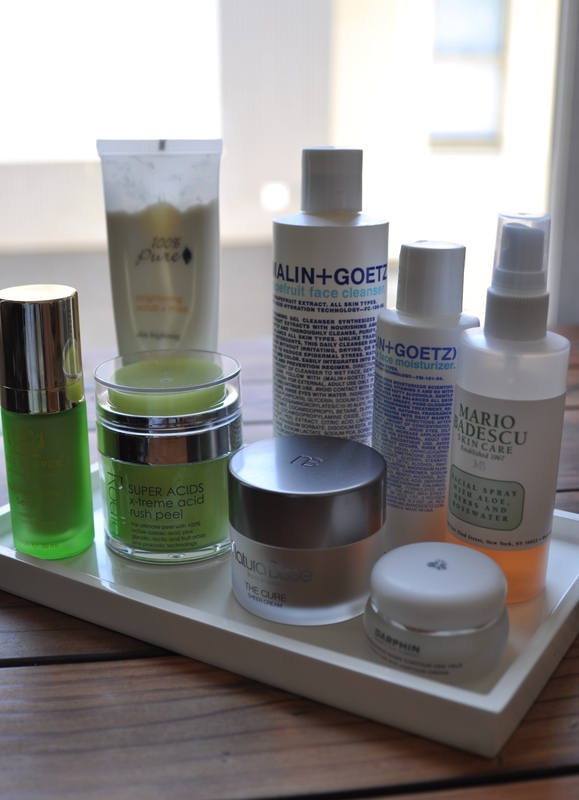 It’s the perfect prep before applying moisturizer. Eye Cream: Darphin Wrinkle Corrective Eye Contour Cream. My sister and I purchased this during a bout with the Sunday scaries and it’s turned out to be a great buy (phew). Moisturizer: Natura Bisse The Cure: It’s a balm-like tinted moisturizer that I’ve been reading about for years and finally popped for it. I’ve only been using it for about a week so stay tuned.